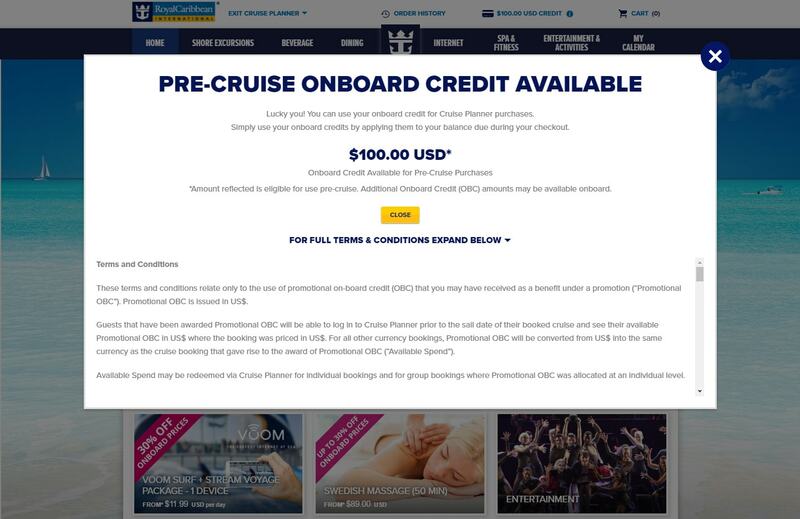 We have spotted a new feature in Royal Caribbean's Cruise Planner that allows guests to use their onboard credit prior to their sailing for various packages, upgrades and services. Guests that have been awarded Promotional onboard credit will be able to log in to Cruise Planner prior to the sail date of their booked cruise and see their available Promotional onboard credit in US$ where the booking was priced in US$. For all other currency bookings, Promotional OBC will be converted from US$ into the same currency as the cruise booking that gave rise to the award of Promotional OBC (“Available Spend”). Available Spend may be used to purchase shore excursions, dining, beverage packages, internet packages, spa & fitness services, entertainment activities and any future ancillary products / services available for purchase in advance of your cruise via Cruise Planner. If you choose to cancel any purchase made via Cruise Planner, any relevant amount of Promotional OBC released by such cancelation will be credited back to your Cruise Planner account to be used as Available Spend. In the event the purchase was in part funded by cash (via a credit card, debit card, or other form of cash equivalent payments then the applicable amount will be credited back to the original form of payment within 30 days. 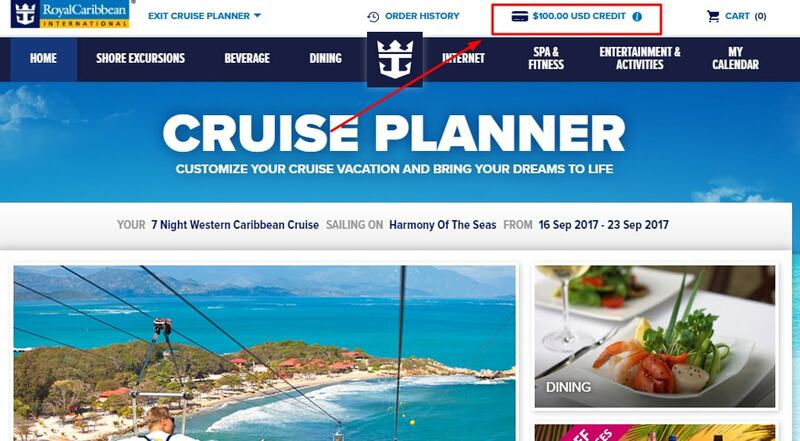 Any residual Available Spend at the cut-off date for making purchases via Cruise Planner will be automatically converted back to US$ for spend onboard your booked cruise.